Letters from Nowhere is rated 3.8 out of 5 by 28. Rated 5 out of 5 by Suelovesgames from Perfect Game This game has everything I like about Hidden Object Games. It has straight forward HOS and nothing else, very little dialogue, good storyline, nice graphics and good atmosphere and environmental sound effects in each scene. It also has unlimited hints and puzzles which can be skipped. There is one little puzzle in each HOS, that you have to do, which is not difficult. However, it won't lead you by the hand. Even if you use a hint, you won't be able to solve the puzzle, you will have to do that all by yourself. It's not too difficult though. It's a small challenge in each HOS. Nothing is ever impossible or too difficult. Objects are sometimes hard to find, but generally okay. I like all the red herrings in the HOS. For example, you might be looking for roller skates but they will have ice skates in there. They do that consistantly and it's a nice and unusual touch. They have moving parts in the HOS, which I always love, animals moving around, smoke, rain etc. The subject matter is a little dark, so I wouldn't recommend this for children. There's definately some adult themes going on here. It ended up in the air and I thought what is going on but guess what, there's a sequel. Can't wait! Rated 5 out of 5 by SparkleGlow100 from HOPS, HOPS, and HOPS…HOPS in a variety of settings, with a compelling story. I love earning points and being able to use them to get bonuses ! You lose your husband! You must find him! 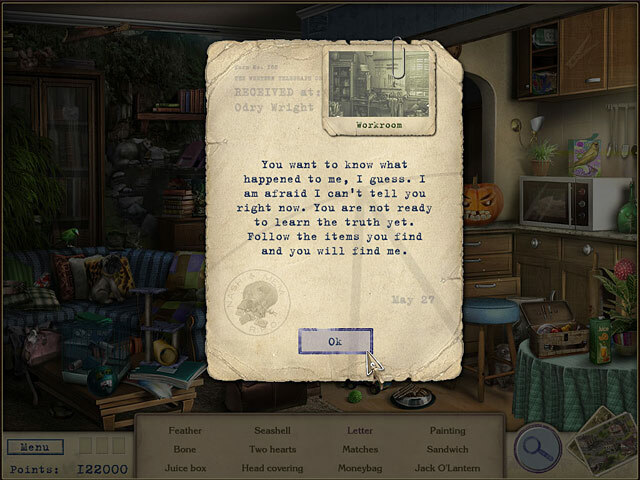 Solve the mystery…I loved diving into the different scenes, all kinds of rooms and outdoor spaces. The story does veer into the occult. GRAPHICS: Really nice looking, with natural colors. Fullscreen. Some items are very small, very well hidden and blended. If you need all the objects to be very clear, don’t play this game. I didn’t get eyestrain, but I was pulling the computer towards me on many occasions. I recommend max brightness for your computer screen. HOPS: HOPS ARE the entire game. You get each scene 2 sometimes 3 times. But there are tons and tons. You can swap between different HOPS within the same chapter by selecting the ‘postcard-type’ icons in the lower right corner of the screen. PUZZLES: There is usually a puzzle thrown in DURING the HOPS. 1 or 2 per chapter. Mostly straightforward. SOUNDS:2. Music separated. Great! Voice over and background sounds are good. HINT: Takes 30 sec to recharge. No choice of difficulty, there is only 1. One problem with the hint is that during the HOPS, it will only circle 1 item, when 2 are required for interaction. The other 1 remains lurking! This was solved by using a “walkthrough”. Google “walkthrough for Letters from Nowhere” and it will appear. Because the game is chaptered, it was very easy to look up specific help. MAP: Not required. INVENTORY: NONE JOURNAL: NONE CHARACTERS: Mainly story told by lady searching for missing husband. No lip movement. But great voice-over. EXTRAS: Unlimited mode (access to hidden objects games) kicks off, once you have found 50 stamps. You earn points with each stamp; 3 stamps hidden per scene. Every “so many points” you get a choice to buy a “souvenir/bonus” which will be hidden for you in all the scenes of that chapter. Find them and they do different things to help you gain points and find objects! So much fun! Rated 5 out of 5 by canadiangirl94 from Definitely a must buy. If you enjoy games with a lot of HO scenes and minimal mini-games, this one is for you. Each chapter allows you to pick certain power-ups you can use, but the catch is that you have to find them in the HO scenes to take advantage of them. The music is spooky themed, but not scary that it makes you lose sleep at night. Each location has 3 stamps that if you find all of them, you get an achievement. Although you don't need to find all the stamps to progress in the game, it adds a little extra challenge in it as by the end of the game, they are very small and can be pretty difficult to find but not impossible. Story line is great as well and it keeps you guessing. Highly recommend getting this one as well as the next one, Letters from Nowhere 2. Rated 5 out of 5 by Innovativemom from Hog Heaven I love this game. It is a straight up HOG, which is what I like. Rated 5 out of 5 by JustTheFacts from Quality HO Game With Fun Features BASED ON COMPLETED GAME If you like the Golden Trails series (by same developer), I believe you’ll love this one and its sequel too, although they are quite different. This game brings together high production qualities and unique gameplay. Like all pure HO games, there is little else to it, with just a puzzle within the HO scene once per episode (chapter). There is only a sketch of the story, although it is well integrated into the game process. The graphics quality is wonderful, particularly for a game that is almost 4 years old. Aspect ratio is retained, using a panel wallpaper on widescreen. The HO scenes are well lit and extraordinarily clear, but some of them are tricky to find, as they are partially hidden. The VO of our heroine is very well done, and what little bit of music and sound there is, is apt. The music is ethereal, very pleasant and relaxing. There also isn’t much animation, but it’s good. GAMEPLAY Being a pure HOG, there are no inventory items and nothing for us to do between scenes, so movement is through the map. There is a total of 25 scenes, each visited 3 times, but integrated into the story and spaced out enough to keep it from becoming repetitious. We are kept very busy in these scenes, with the following available actions. *A list of 12 items to be found. 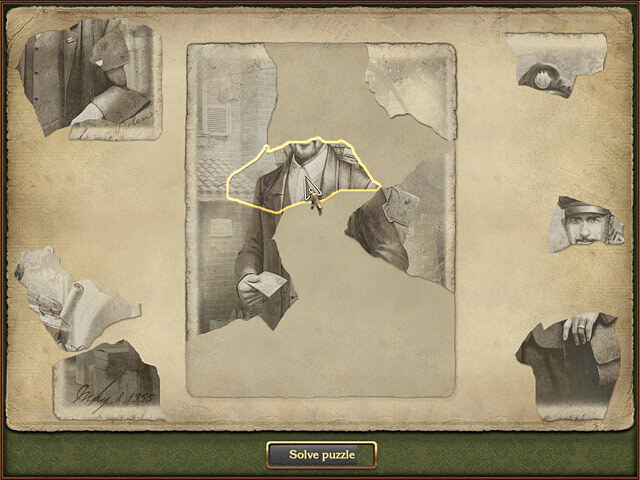 Some of these will be hidden, or require interaction, but only the in-scene puzzles are indicated. *In some scenes, a letter needs to be found, which will progress the story. *In each scene, there are 3 stamps to collect. Collect 50/75 to unlock unlimited mode. *We accumulate points and trophies for speed and accuracy, among other things, including achievements in unlimited mode. There are also bonus items we can ‘buy’ (with points) to help. After buying them, they will be added to the HO scene, but we will still have to find them to use them. *Thermometer - indicates “hot vs. cold” spots in the scene for a time. *Surprise – a mystery bonus, e.g. 10 000 bonus points. *Camera – a brief flash of the scene with all the remaining items highlighted. *Palette – the list is transformed into a series of pictures of the remaining items. I’m not usually much of a fan of pure HO and generally only play them for my mother’s sake, but of the HOGs out there, I’d much prefer to play this series and Golden Trails than any others I’ve played. They are well made, unique, a little mysterious, and just plain fun. Rated 5 out of 5 by mariannegb from Favorite Games Both Letters from Nowhere and Part 2 of same are, by far, my favorite games. Entertaining. Move along. Challenging but not to the point of frustration. Would definitely like more games along this line! Rated 5 out of 5 by GamerCouple from Excellent HOG with great replay value. 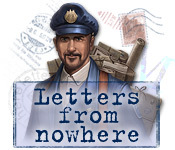 In "Letters to Nowhere," a young woman seeks to find and rescue her presumed-dead husband from nefarious people and forces. In her desperation, she travels all over the place to seek clues to his disappearance and spirals deeper and deeper into a supernatural plot. In HOG terms, this isn't one of the "adventure" styled games that are heavy on puzzles. This one is very heavy on the hidden-objects end, but rooms contain mostly what you think they should and aren't too anachronistic or non-thematic. The few puzzles aren't too hard to get through. And the HO screens feel like they're actually advancing the story through the game's clever use of dialogue, so it's not just one junk-pile after another. The storyline itself is engaging and interesting and adult players will likely find themselves sympathizing greatly with the heroine. The art and music for the game are decent, as is the voice acting. The game introduces some interesting twists in the HOG genre by the use of "helper objects" which the player buys in advance, like the standard Polaroid camera and thermometer. Doing specific things or reaching specific milestones gets you achievement badges, which here are styled like the stamps one puts on a letter to mail. This game reminds me very strongly and pleasantly of "Golden Trails 2: The Lost Legacy." Not only does it share that game's thematic nature, but it also boasts one of the developer's best innovations: an unlimited mode that allows you to go replay each hidden-object screen one at a time against a timed mode. It adds to the concept from GT2 by introducing more achievement "stamps" for unlimited mode. As there are a couple dozen HO screens, unlimited mode adds considerably to the game's length and replay value. I liked this game and recommend it to people who prefer their HOGs have mostly HO screens and who prefer HOGs with mostly thematic search screens. 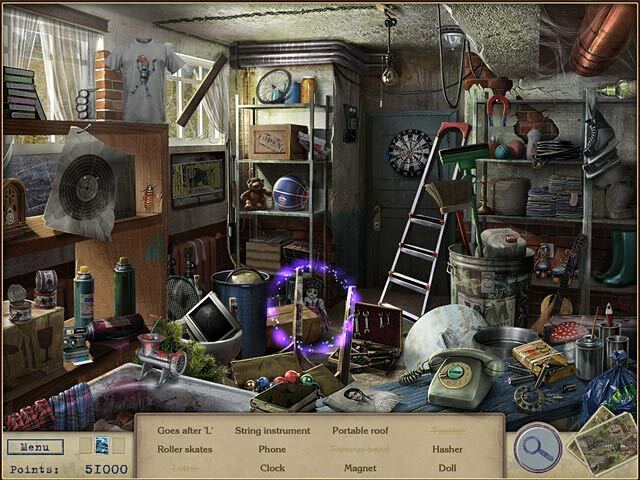 Rated 5 out of 5 by mickeyg718 from Great Hidden Object Game! I really like this game, because it makes you think a little more then some other games. Item descriptions are not always straight forward for example "something that holds wine" maybe a glass or a bottle with wine or you may have to pure wine into a glass. Rated 5 out of 5 by queenvon from Hidden Object Gamers Paradise! If you like HO games and are tired of the vampires,werewolves and gorey offerings that are currently flooding our genre then this game is FOR YOU! The plot features a young married couple, a postman and an old mystery. Audrey, through the game player, seeks to find and rescue her husband from--well, she doesn't know who. There are plenty of scenes and TONS of HOs to find. As you progress through the story/scenes, you earn points for each HO you find. There are also HOs to find in every scene (3 postage stamps), black cats that once you find 50 you unlock unlimited HO mode; and 4 objects you can 'buy' using your points that actually assist you in your searches: for example a camera that flashes and shows the location of everything on your list at that moment. So there are some unique things about this game that set it apart from the usual HO games, besides the story/plot. As you complete each chapter, you learn more about the story, Audrey's husband, who has him & why and who/what the letters are from...and who is helping Audrey?! There is a sequel to this game, Letters from Nowhere 2. I also played it and liked it, too! Great game from a HO standpoint--lots of HO scenes and things to find. I spent several hours over several days playing this game and enjoyed it. Rated 5 out of 5 by whatnext from Fun to play!!! This was a fairly easy game but lots of fun to play. Some of the items were harder to find than I thought. The graphics were good. Just right if you don't want to think to hard about remember all the locations like in many hidden object games. Help Audrey find her missing husband! After disappearing mysteriously, the only clue left behind are the Letters from Nowhere!